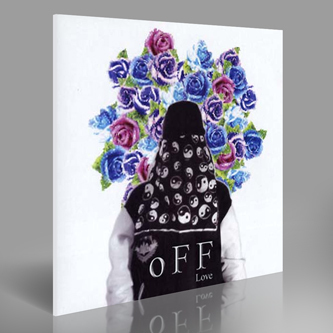 Intriguing first release of off-kilter R&B from French ex-pat-in-Berlin, o F F Love. 'Probably Love' is a fine and unique contribution to that game played by How To Dress Well, Autre Ne Veut, The Weeknd, and the likes, taking autotuned vocals and etheric balladeering into dreamier, surreal zones. But unlike the aforementioned artists, 'Probably Love' is more dislocated, unsure of itself, fracturing pop conventions into small, kaleidoscopic songs which feel almost off balance and instinctively, supernaturally strange. Check!